Is Chocolate Milk a Healthy Drink for Both Adults and Kids? Home / Milk / Is Chocolate Milk a Healthy Drink for Both Adults and Kids? Eating or drinking chocolate is a beloved indulgence for most people. Cocoa has been shown to be a source of many beneficial nutrients including antioxidants and molecules that may help lower blood pressure. Chocolate products can be relatively high in calories and fat, so they should be enjoyed in moderation. 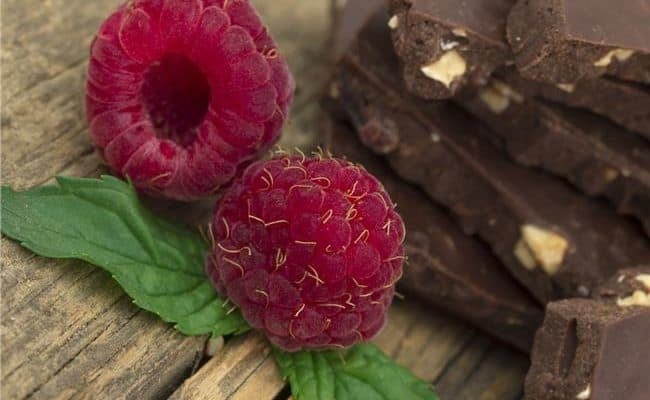 Milk chocolate, white chocolate or chocolate flavored drinks or desserts may also be high in added sugar and contain lower amounts of the actual cocoa bean compared to dark chocolate. Milk is a known source of bone building nutrients calcium, vitamin D, potassium, choline and vitamin B12. Dietary guidelines suggest children should get 2-3 cups of dairy per day, and adults are recommended to get 3 cups of dairy per day. 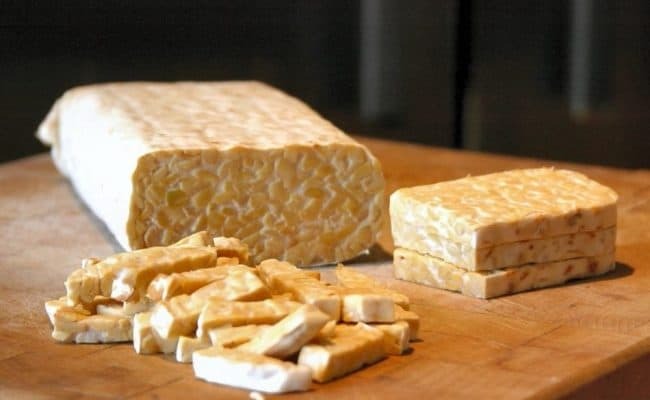 Adequate calcium intake may lower risk for osteoporosis and colon cancer. However, getting too much dairy or other calcium rich foods may increase risk for prostate or ovarian cancer (1). Does chocolate milk provide both the health benefits of chocolate and milk? Chocolate milk definitely provides all the nutrients milk provides. However, the chocolate used for chocolate milk is often a highly processed, sugary chocolate flavor not actual cocoa. Offering chocolate milk to both children and adults may help increase intake of dairy. Some studies have also shown drinking chocolate milk after exercise may be advantageous for refueling muscles. Chocolate milk can be part of a healthy diet, but it should be consumed in moderation. 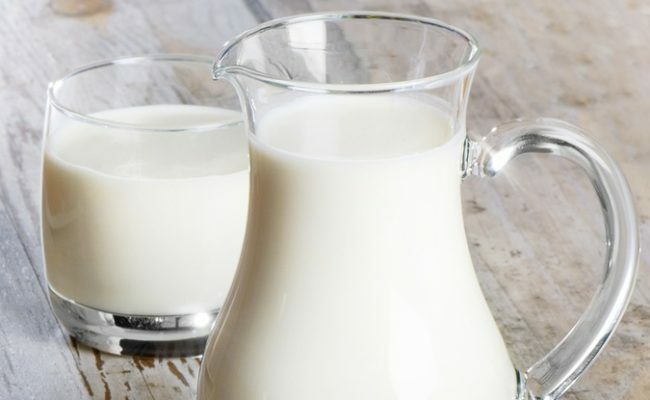 A cup of 1% milk provides about 100 calories, 2.4 grams of fat (3% DV), 1.5 grams saturated fat (7% DV), 13 grams of sugar, 8 grams of protein, 30% DV calcium, 12% DV potassium, 18% DV vitamin B12, 25% DV vitamin D.
A cup of 1% chocolate milk provides about 160 calories, 2.5 grams of saturated fat (4% DV), 1.5 grams of saturated fat (8% DV), ranges around 18-25 grams of sugar, 8 grams of protein, 30% DV calcium, 13% DV potassium, 25% DV vitamin D and chocolate milk also provides vitamin B12. The vitamin and minerals content between plain and chocolate milk are very similar. Milk is considered a good source of bone building nutrients, and the B12 from milk is considered one of the most bioavailable sources. There are differences in the sugar and may be slight differences in fat content between plan and chocolate milk. Will drinking chocolate milk make you gain weight? One concern from drinking chocolate milk is the higher sugar and therefore calorie content. Does drinking chocolate milk increase risk for weight gain? According to the Southeast Dairy Association (2), flavored milk consumption is not associated with weight gain risk in kids. In fact, The American Academy of Pediatrics (3) recommends sweetened drinks be replaced with water, plain or flavored milk. Chocolate milk provides many nutrients that are important for both children and adult health. Does this mean adults can drink chocolate milk without worry for weight gain? If you drink chocolate milk whether as a child or as an adult it should be part of a balanced, nutrient dense diet. You can’t drink all the chocolate milk you want without concern of gaining weight. Stay within the recommended intake of the dairy group and try to eat a variety of dairy sources. Chocolate milk has recently become famous as a sports nutrition recovery drink. After strenuous exercise, it is recommended to consume both carbohydrates and protein to repair and rebuild muscles. The amount of carbohydrates and protein in chocolate milk is the right ratio needed for optimal muscle recovery after strenuous exercise. The sugar in chocolate milk is more likely to go towards rebuilding muscle glycogen stores instead of being stored as fat. A 2010 study (4) looked at training differences between soccer players who were given either chocolate milk or a carbohydrate beverage after exercise for 4 days. There was no difference in muscle soreness or fatigue between the groups after 4 days, but the chocolate milk group had significantly lower serum creatine kinase compared to the carbohydrate group. Serum creatine kinase can be used as an index of muscle fiber damage from exercise. Therefore, these results suggest chocolate milk may help lower muscle damage from exercise, although larger and longer studies are needed. A small 2006 study (5) with trained cyclists concluded consuming chocolate milk in between intense training sessions may help improve time to exhaustion and total work in exercise. If you do a 30-60 minute workout, it doesn’t mean you need to guzzle down cups of chocolate milk. If you exercise and want to have chocolate milk in your diet, the smartest time to drink a cup is probably after you exercise. You can enjoy the taste of chocolate milk and also provide nutrients to your muscles at the same time. However, drinking a cup is probably all you need. Are there risks for drinking too much chocolate milk? Consuming excess chocolate milk can add in extra calories and sugar your body doesn’t need. Yes, chocolate milk can be a source of many important nutrients. However, consuming 2-3 servings of dairy per day is generally recommended. 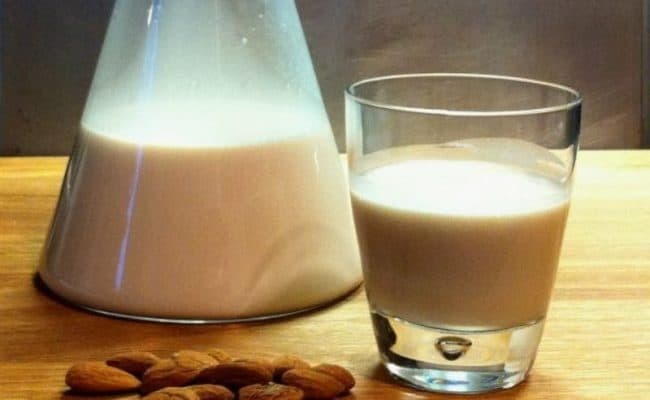 Harvard Health (6) suggests consuming high intake of dairy or other high calcium foods may increase risk of prostate or possibly ovarian cancer. Therefore, chocolate milk should be consumed in moderate doses and as part of a balanced diet. Packaged chocolate milk can be high in sugar. If you want to enjoy chocolate milk but want a lower sugar higher nutrient dense version, you can make your own. 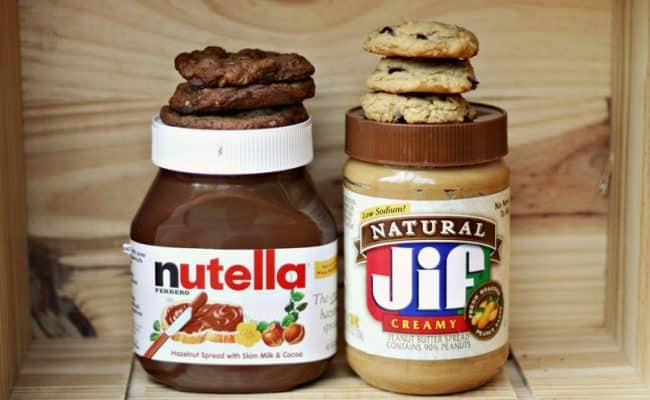 Instead of using packaged chocolate syrup, the blog Creative and Healthy Fun Food (7) suggests making your own chocolate syrup from water, cocoa powder and maple syrup. You can keep the syrup in the refrigerator and add a spoon or two to a glass of milk. 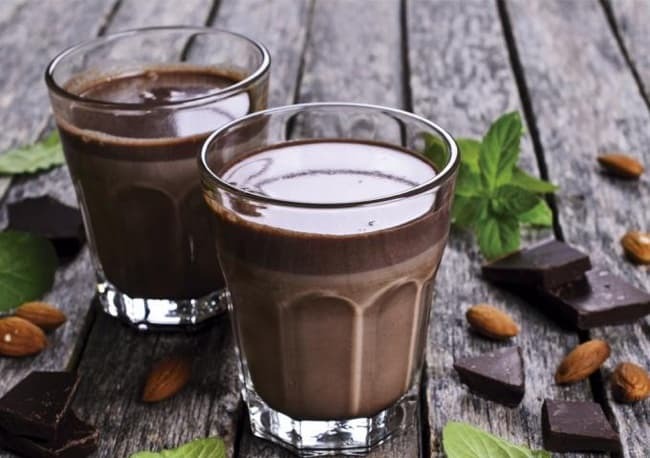 The BBC (8) also has a higher protein option for homemade chocolate milk using soy milk, Greek yogurt, cocoa powder, vanilla bean paste, cinnamon, frozen spinach and even a little cooked quinoa. Blend ingredients together for a thicker, nutrient packed homemade milk chocolate. 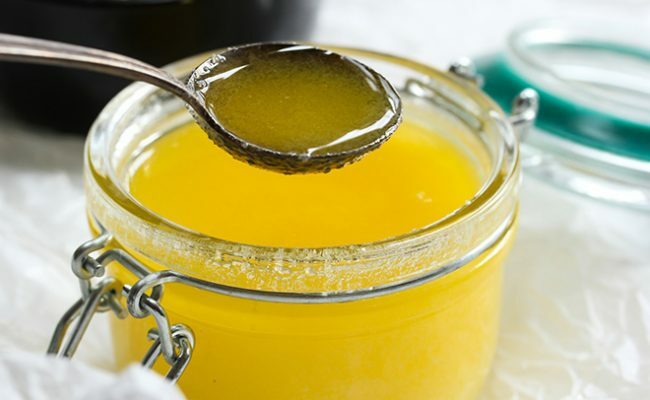 Ghee vs Butter: Which is the Healthier Option? 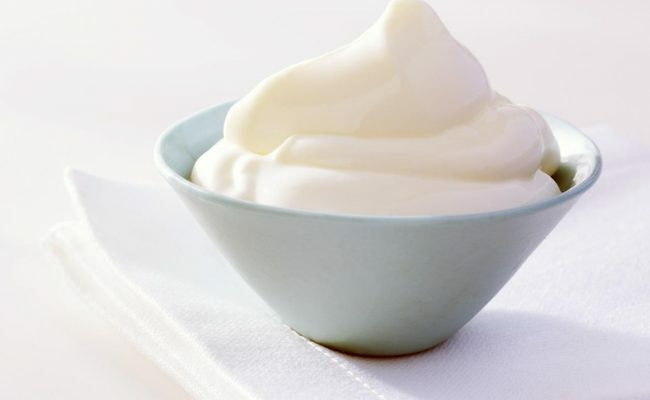 Is Sour Cream Healthy For You? 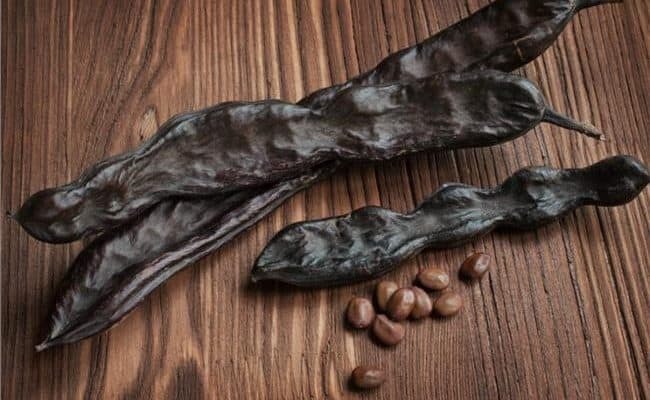 What Is So Special About Low Carb Dark Chocolate? 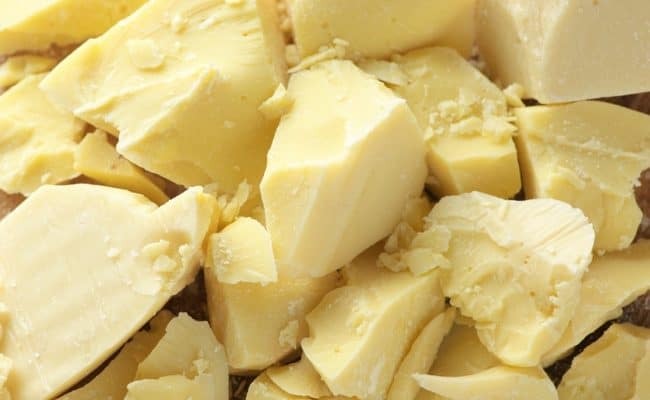 What is Cocoa Butter Good For?